In 2013 the European Commission awarded neuroscientist Henry Markram $1.3 billion to pursue an audacious goal: building a simulation of the human brain. Markram's initiative, the Human Brain Project (HBP), is now in disarray. Critics blame HBP management and the project's unreasonably ambitious goals. Yet plenty of blame for the HBP's woes rests with the project's funders in Brussels, who put politics ahead of science and exercised poor oversight. The American BRAIN Initiative has shown that big neuroscience projects can succeed. The HBP is now being reorganized to help it do just that. For decades Henry Markram has dreamed of reverse engineering the human brain. In 1994, as a postdoctoral researcher then at the Max Planck Institute for Medical Research in Heidelberg, Germany, he became the first scientist to “patch” two living neurons simultaneously—to apply microscopic pipettes to freshly harvested rat neurons to measure the electrical signals fired between them. The work demonstrated the process by which synapses are strengthened and weakened, making it possible to study and model how the brain learns. His work landed him a position as senior scientist at the prestigious Weizmann Institute of Science in Rehovot, Israel, and by the time he was promoted to professor in 1998, he was one of the most esteemed researchers in the field. Then he began to get frustrated. Although researchers worldwide were publishing tens of thousands of neuroscience studies every year, neither our understanding of basic brain functions nor our ability to treat brain disorders seemed to be progressing much. Markram's consternation was also deeply personal. While he was still in Germany, his son Kai had been diagnosed with autism. As he told The Guardian in 2013, he wanted “to be able to step inside a simulation of my son's brain and see the world as he sees it.” The only way to do that, he reasoned, was to go beyond individual experiments with behaviors, diseases and brain anatomy and instead model the circuitry of the entire human brain. In a 2009 TED talk, he first presented to the general public his vision of mathematically simulating the brain's 86 billion neurons and 100 trillion synapses on a supercomputer. “We can do it within 10 years,” he promised the audience, suggesting that such a mathematical model might even be capable of consciousness. After those 10 years, Markram told the audience, “we will send … a hologram to talk to you.” In various talks, interviews and articles, he suggested that a mathematical brain model would deliver such fundamental breakthroughs as simulation-driven drug discovery, the replacement of certain kinds of animal experiments and a better understanding of disorders such as Alzheimer's. As if that were not enough, the simulated brain would also spin off technology for building new and faster computers and create robots with cognitive skills and possibly intelligence. Plenty of neuroscientists were skeptical, but Markram had many supporters. His vision seemed vindicated in January 2013, when the European Union awarded him $1.3 billion, spread over 10 years, to build his simulated brain. Less than two years later the Human Brain Project (HBP) is in disarray, facing controversy and even derision. Takedowns in the science press have used phrases such as “brain fog” and “brain wreck.” A spoof of the project on YouTube features a Spanish talk-show guest suffering uncontrollable spasms of laughter as fake subtitles make it appear that he is describing Markram's plans (the guest was actually talking about cooking paella). Several scientists who know Markram personally now describe him as a kind of genius gone off track. He lost his position in the executive leadership of the project, and his own management has ordered him not to talk to the press, including to Scientific American. (Markram is co-founder of Frontiers. 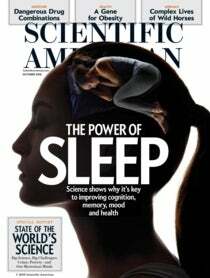 Frontiers and Scientific American are both owned in part by Holtzbrinck Publishing Group. Markram also wrote about his research for this magazine in June 2012.) The project's new executive director, Christoph Ebell, says Markram recently stopped attending internal HBP meetings; instead he has sent a representative to interact with the management team. The Human Brain Project created a deep, public schism among Europe's neuroscientists. A July 2014 open letter attacking the HBP's science and organization quickly gathered more than 800 signatures from scientists. This past March, with the signatories threatening a boycott of what was supposed to be a Europe-wide collaboration, Markram initiated a mediation process to address the critics' claims. A committee of 27 scientists reviewed both sides' arguments, and, with the exception of two dissenters, the group agreed, almost point by point, with the critics. In their 53-page report, the mediators called for a massive overhaul of the HBP, including a new management structure and change in scientific focus. The HBP is now undergoing a major reorganization, and the project's future shape and direction are in flux. Few of the E.U. member states, whose research ministries and other institutions were expected to contribute $570 million to the overall budget, have yet made any commitments, which could affect the project's ambitious scope and timeline. Most accounts of this high-profile project gone awry have focused on Markram and his management style, but that is only part of the story. By all accounts, Markram is earnestly trying to do good science. And as much dysfunction as there has been around the HBP's Swiss headquarters, the ultimate source of the problem is located some 300 miles to the north, in Brussels. There, at the seat of the European Commission, the executive arm of the European Union, a system of Big Science funding that marries politics with scientific objectives, allows little transparency and exercises insufficient control has enabled the mess that the HBP has become. “The real problem is not the HBP but the decision-making process at the E.U.,” says Andreas Herz, a professor of computational neuroscience at the Ludwig Maximilian University of Munich and a member of the mediation committee. These concerns are still with us, and no recent endeavor has brought them to the fore like the Human Brain Project. Today Big Science consists of large-scale, collaborative, often interdisciplinary R&D projects, which governments around the world are increasingly funding in an attempt to jump-start innovation. Neuroscience is only the latest branch of research where multibillion-dollar budgets, once reserved for defense and aerospace technology, have spread and multiplied. There are important reasons why Big Science is proliferating. Many areas of research have grown so complex and expensive that large-scale collaboration is the best tool for moving forward. Big Science has long been the norm in physics, where probing nature's frontiers requires massive particle accelerators such as the Large Hadron Collider at CERN near Geneva. In biology, Big Science had its debut in 1990 with the Human Genome Project, a 13-year, roughly $3-billion (in 1991 dollars) effort co-founded by the National Institutes of Health and the Department of Energy to sequence human DNA. In the early 2010s it was neuroscience that seemed ripe for a big push forward. Almost concurrently with Europe's Human Brain Project, the U.S. unveiled the potentially multibillion-dollar BRAIN (Brain Research through Advancing Innovative Neurotechnologies) Initiative. Israel, Canada, Australia, New Zealand, Japan and China have all announced major new brain research initiatives as well. Thomas R. Insel, director of the National Institute of Mental Health, one of several agencies organizing the BRAIN Initiative (others include the National Science Foundation and the Defense Advanced Research Projects Agency), says it was worry about the spread and cost of mental disorders, combined with excitement about new brain-manipulation technologies such as optogenetics, that galvanized policy makers and scientists to push for a new wave of brain research. “You see a whole generation fired up to do this kind of research now, not just in the United States but around the world,” Insel says. Yet by showing how easily such a project can get off track, the HBP demonstrates the limits of throwing money at hard problems. Though successful when applied to well-defined technological goals such as building rockets or decoding the genome, are big-budget initiatives run by a small group of scientists and administrators the best way to develop something as basic as a new understanding of the human brain? Among his generation of neuroscientists, few stand out like Markram, now aged 53, both for his accomplishments as an experimental researcher and for the scale of his ambition. In 2005 he founded the Blue Brain Project, to which IBM contributed a Blue Gene supercomputer, at the Swiss Federal Institute of Technology in Lausanne. The project uses data and software to simulate a small subset of a rat's brain, focusing on a collection of neurons known as a cortical column. But while the venture is generating knowledge about how to mathematically model some parts of the brain's circuitry, critics say the simulation can do very little that is useful or helps us understand how the brain actually works. To this day, Markram has not published a comprehensive paper of Blue Brain's findings in a peer-reviewed journal. Yet he quickly drafted plans to scale up the effort into an even more ambitious endeavor: building a supercomputer simulation of the entire human brain. The other winner was Graphene Flagship, a 23-country consortium of academic and corporate researchers who will develop this promising nanomaterial with many applications in electronics, energy and other industries. The graphene project is also designed to help European industry, which risks falling behind Asian nations such as South Korea, where Samsung is developing the futuristic material. But unlike the HBP, Graphene Flagship has avoided controversy, and industrial research partners are rapidly signing on across Europe. One crucial difference is that Graphene Flagship is not based on a single person's vision; it is set up to be inclusive, collaborative and decentralized. For example, whereas Markram and a few others controlled the HBP's structure and funding, the graphene project is an open network only loosely coordinated by its leaders at Sweden's Chalmers University of Technology. Perhaps more important, Graphene Flagship has a strict engineering mission: to develop technology capable of commercializing a known material. Unlike brain modeling, this goal does not require bridging vast gaps in basic knowledge. It was not until after the neuroscientists' open letter that the European Commission began to mention governance problems at the HBP. Just days before the mediators released their critical, detailed report, the commission issued its own review (by a secret panel known only to the commission and the HBP) that remained much less explicit than the mediators on governance problems but nonetheless mandated changes at the HBP. The commission also said it welcomed the mediation process. Yet had the European Commission exercised early, effective oversight, the HBP may never have run aground. Without the neuroscience community's revolt, it is not clear that the organizational changes at the HBP would be happening now. So far the U.S.'s BRAIN Initiative has fared much better than the HBP. Unveiled by President Barack Obama in April 2013 as “the next great American project,” the initiative was met by a similar wave of skepticism at the start. Just as in Europe, many U.S. neuroscientists worried that the BRAIN Initiative was poorly conceived and would siphon funding away from other neuroscience research to strive for nebulous, possibly unattainable goals. But instead of proceeding with closed-door panels and confidential reviews, the nimh reacted to the criticism by putting the initiative on hold and engaging the neuroscience community. The agency named a panel of 15 leading brain experts and, in a series of public workshops, let the scientists define the project. A year of deliberations produced an ambitious, interdisciplinary program to develop new technological tools that will enable researchers to better monitor, measure and stimulate the brain. The endeavor brings together neuroscientists with nanotechnology specialists and materials engineers to solve issues such as applying electrical stimulus to very small groups of neurons, which may make it possible to treat brain conditions with vastly improved precision. The key difference between Europe's HBP and the U.S.'s BRAIN Initiative is that the latter does not depend on a single scientific vision. Instead many teams will compete for grants and lead innovation into different, unplanned directions. Competition is happening via the nimh's traditional peer-review process, which prevents the conflicts of interest that plagued decision making at the HBP. Peer review is not perfect—it tends to favor known scientific paradigms—and American science funding has plenty of problems of its own. But the BRAIN Initiative's more competitive and transparent decision making is far removed from the political black box in Brussels that produced the HBP. Since accepting the mediation report's criticism, the HBP is undergoing a radical overhaul—and that may yet turn it into a success. Ebell says the project is building a new management structure that will no longer concentrate so much power with Markram and his closest associates. There will be new bodies for independent oversight. A key subproject in cognitive neuroscience, whose removal from the core research program accelerated the attacks against the HBP last year, has been reinstated. A more open, competitive process for collaborative projects to access HBP funding is also in the works. From now on, Ebell says, every group involved in the consortium, including Markram's, will have to reapply for funding every two years. The project is also focusing more tightly on data tools and software that are not exclusively aimed at simulating the brain. Although the mediators criticized the HBP for raising “unrealistic expectations” with regard to understanding the brain and treating its diseases, resulting in a “loss of scientific credibility,” even critics such as Dayan and Mainen fully support the project's parallel goals of delivering computational tools, data integration and mathematical models for neurological research. Concentrating on Big Data, a core part of Markram's vision from the start, might even make Europe's HBP a perfect complement to the U.S.'s BRAIN Initiative, whose new technologies are expected to generate huge volumes of neurological data. If the HBP scales down to its technological core—developing useful computational tools and models for neurological research, as mundane as that may sound—then Henry Markram may well leave a great and lasting legacy to neuroscience. Stefan Theil is a journalist and editor based in Berlin and a recent Joan Shorenstein Fellow at Harvard University.